Maintaining a sense of physical balance and stability is invaluable to feeling grounded and supported. Physical balance is what allows you to move safely from one place to another or to stand without feeling you are going to teeter over. 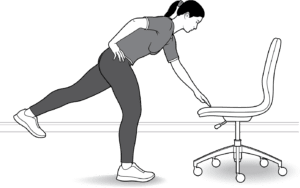 Stability is the amount of structural engagement (the “structure” being your body) within each movement or, in a stationary position, required to stand firmly. Age, repetitively sedentary lifestyles, and lack of practice can result in the dwindling capacities of these daily functions. Fortunately, we have the opportunity to practice improving these very important elements of safety and wellness during even the most unassuming times. 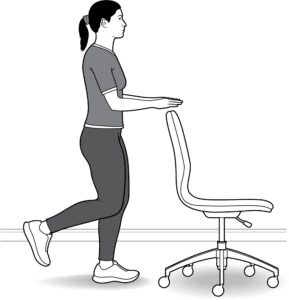 For example, when you walk at home, you can test your balance by walking in a straight line, heel-to-toe from one end of the room to the other, looking straight ahead. How did you do? There are many creative ways to practice maintaining and improving your balance and stability. For instance, while you’re doing the dishes, stand on one leg for one dish, then on the other leg for the next dish. This challenges both your balance and your stability. It is a simple and great way to improve the strength of the standing hip, knee, and ankle joints. Doing this simple task naturally causes you to engage and activate your core muscles. 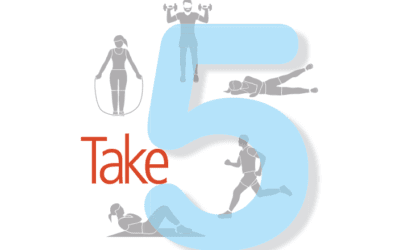 The stronger your core, typically the better your balance and stability, and vice versa. Here are some ways you can incorporate balance and stability work into your daily life at home or at work. 1. Single-Leg Standing with Progression. Level 1 Stand on one foot at your desk, behind a chair or next to a wall. Make sure to keep a small bend in the standing knee. Stand for one minute, or 10 slow breaths, then switch to the other leg. Repeat this as many times as you can throughout the day. Level 2. Standing in the same position as in Level 1, you can add a bit of movement in the lifted leg to further challenge your balance and strengthen your stability. Do this by extending the lifted leg directly out to your side, pressing firmly through your heel, then contracting. Repeat 10 to 15 times on each leg. 2. Single-Leg Standing Forward Reach. 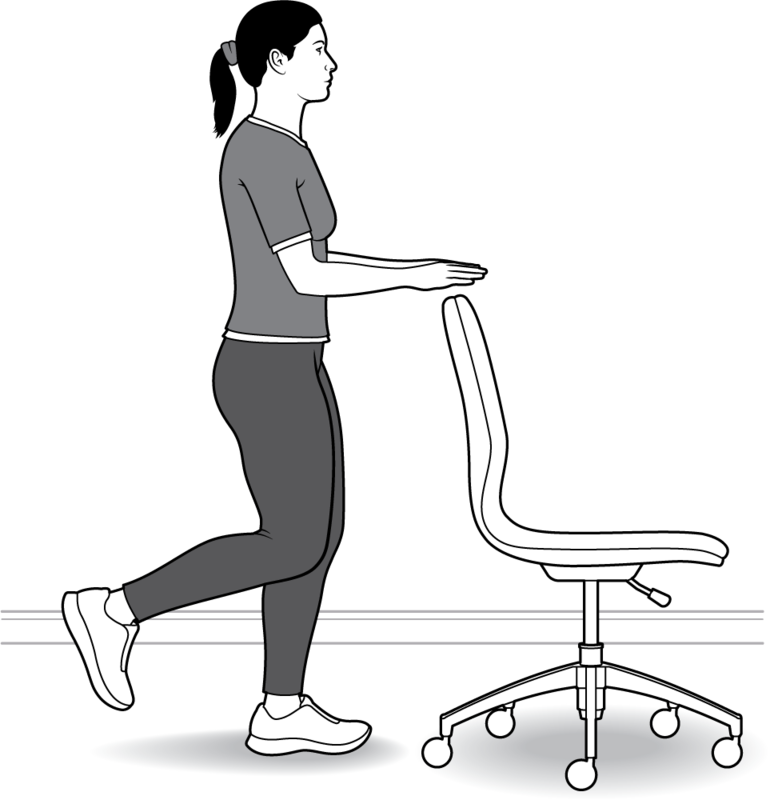 Stand on your right leg 2 to 3 feet in front of your chair or desk. Keep a bend in the standing knee throughout the movement while also keeping the lifted leg firm and engaged, pressing through the heel, flexing the leg. Put your right hand on your hip. 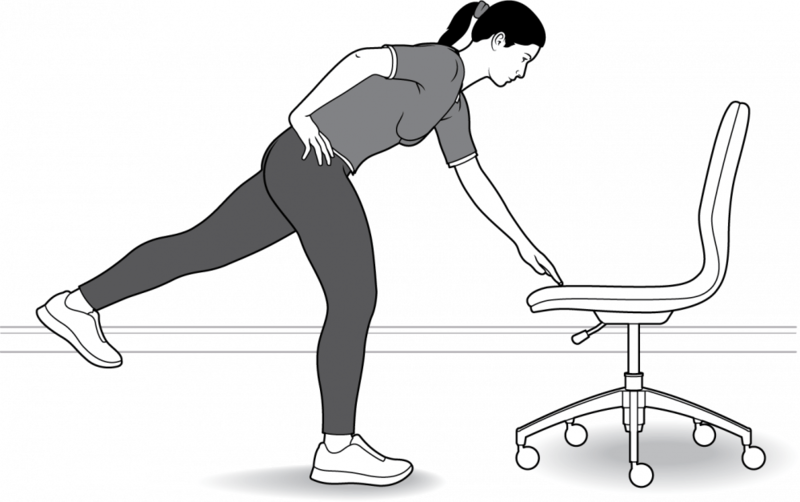 Stand up tall and on an EXHALE, begin to bend at the waist and reach your left hand toward your chair or desk and lightly touch the edge. With control, INHALE to bring yourself back up to your original single-leg standing position. Repeat 10 to 15 times on each leg. 1. Press into the heels of BOTH legs to stand up tall. Maintain this throughout the movement. 2. To bend forward, hinge from the waist and keep your spine as long as possible, as opposed to rounding your back to reach down. Laurel Dierking, MEd, NFPT, 500YTT, is a health and fitness specialist with a concentration in yoga, individualized strength conditioning, exercise physiology and alignment-based movement.